Sarah Harvey, Travel Journalist: Digital Nomads: If You Can't Find Your Tribe, Create One! Arriving in a new country, especially if you turn up alone, can be tough. 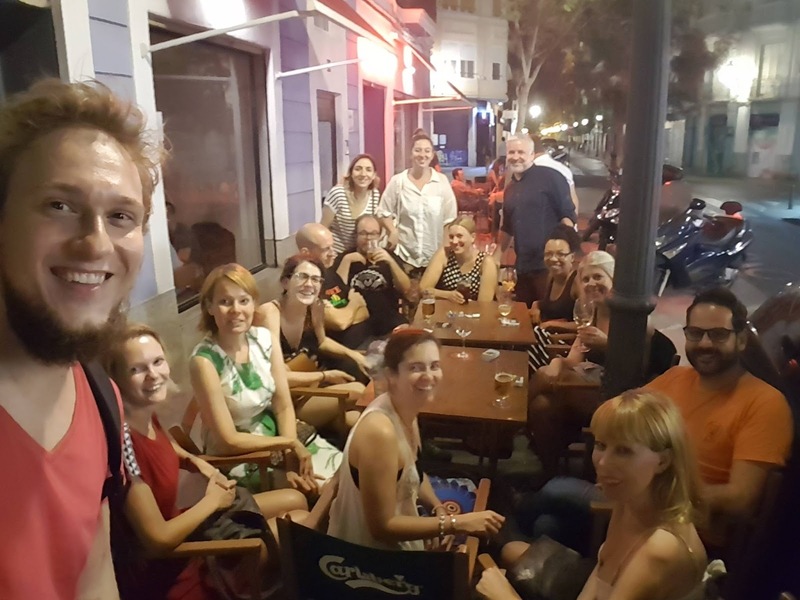 After going to the usual CouchSurfing and Meetup events and making a handful of friends, I inadvertently ended up creating a new community for digital nomads and remote workers, which this week surpassed 500 members. I was sitting with my laptop in Costa Coffee in Valencia's Avenidadel Marqués de Sotelo, in April. (Not a bad spot for uninterrupted wifi, but a little soulless). 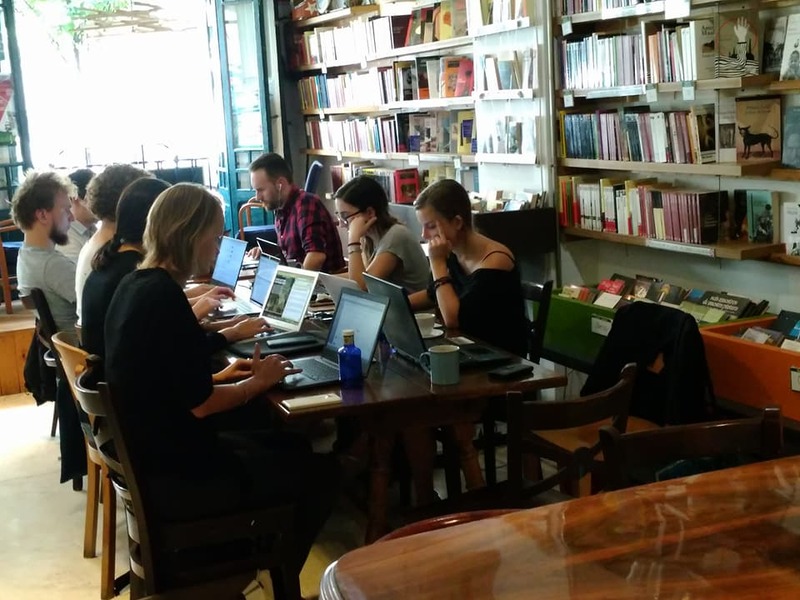 As I took a break from what I was writing, I noticed there were three or four other people also hunched over their laptops. 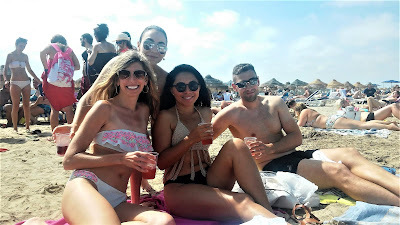 Their pasty skin, shorts and flipflops were instant giveaways: These people weren’t from Valencia. "I wonder if they work remotely like me…", I mused to myself as I crunched on my gritty chai latte, "…and why do I always keep ordering the lumpy chai lattes here?". Joking apart, this isn't an uncommon dilemma for digital nomads and expats. 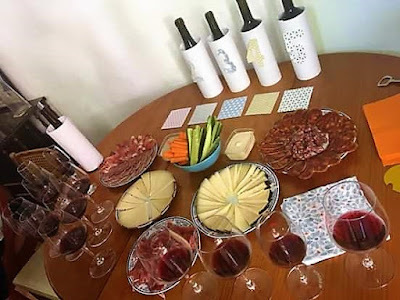 Sometimes the endless whirlwind of trying to socialise and make new friends gets a bit overwhelming, and it's a relief when you finally find yourself part of a community or social group. I've found that everywhere I have lived overseas I've ended up wandering around for weeks feeling like the new kid at school, then somehow ending up organising events for everyone. I used to organise DJ nights via my Maldives Expat Parties group which involved taking up to 100 expats to resorts for 6 hours of dancing and drinking. (Getting that many drunk people home on boats was a challenge!). Incidentally, I made a video with a friend about the crazy expat life in the Maldives (above), the highlight was getting the seaplane pilots to dance on the plane wings! 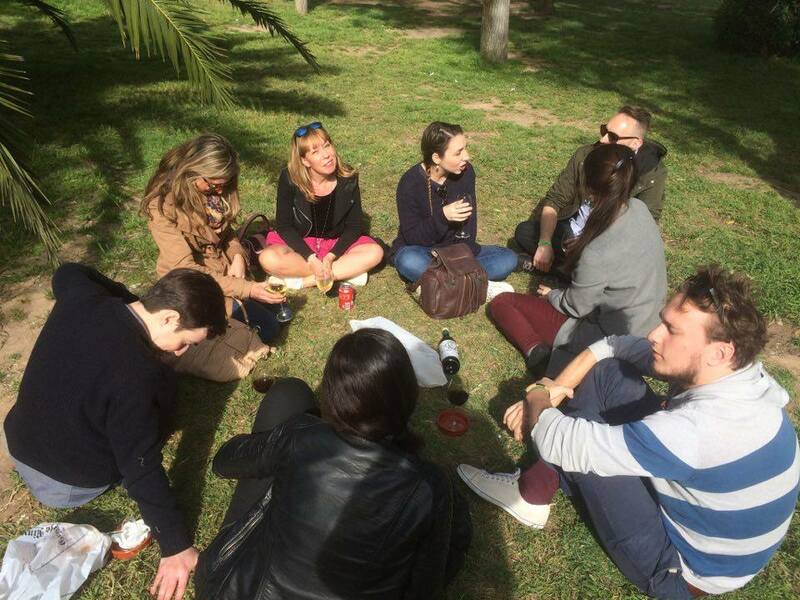 Then when I lived in France, I started a weekly social night called CouchSurfing Meeting in Nice, which became an official CS event. A rascally Parisian named Madani has now taken the helm. Madani has done wonders with the group, negotiating discounts and promotions at bars, and there are now 2,500 members. Make firm plans and stick to them. Don't be flaky or people won't trust you! Back to Valencia: After my Costa experience I posed the question to the excellent Facebook group, Expats in Valencia. Within an hour I had over 50 comments! 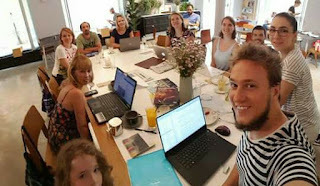 It seemed that yes, there were dozens of people like me (digital nomads, remote workers and expats) who would like an excuse to co-work and socialise with like-minded people. Two hours later, I’d started a Facebook group calledValencia Coffees and Co-working. The concept was simple: If you’re a digital nomad/remote worker in Valencia and want to meet up at a cafe for some informal co-working, I’ll suggest a time and round a group of us up. 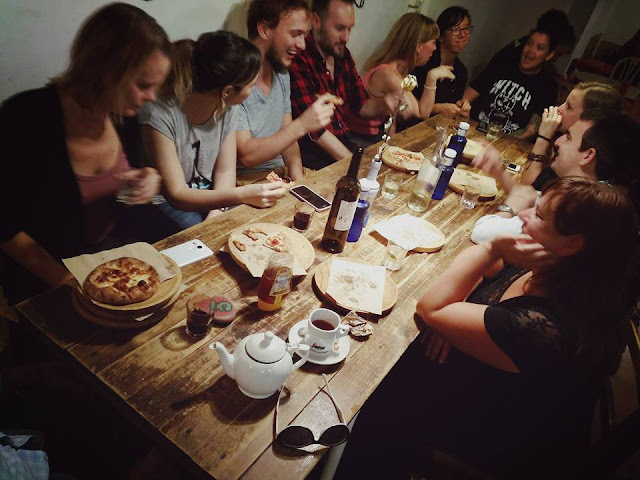 There's no charge for the meetup (since most digital nomads are characterised by their desire to save cash), so you just pay for whatever you consume at the cafe. It’s ideal for anyone who doesn’t want the commitment/expense of a co-working venue, and wants to socialise after work too. This is the first time I'd created an event involving work rather than purely for socialising (read: 'boozing'), and it seems there's a demand for it. The very first meet-up was the following day at Federal Café, which isn't too pricey and is open all day. A charming Polish programmer named Voy and an American named David (who has somehow wrangled only working a mythical 3 days per month), were the only attendees. (Well, I had only given everyone 12 hours’ notice to turn up…). Six months later, we have 500 members and more than 20 nationalities! To keep it simple, we have one meeting every Wednesday afternoon and thankfully only about 15 of the 500+ members attend each time. They are a mix of regulars and newbies, given the transient nature of the demographic. We bond over travel tales and a fondness for after-work drinks. Some of the other members just join us for drinks in the evening. 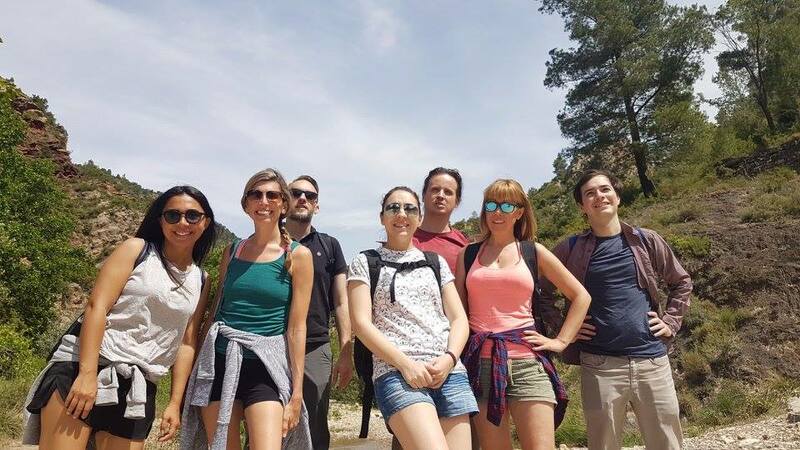 And some of the group have joined it ahead of relocating to Valencia. 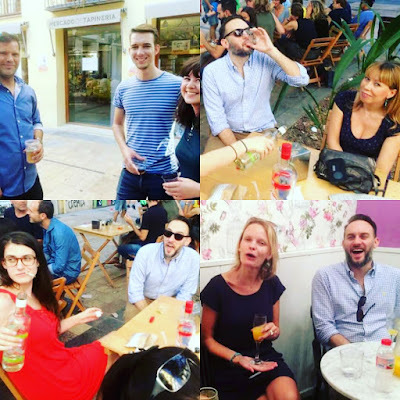 (If you want to live in Valencia, read my post, 8 Reasons to Live in Valencia in your 30's!). The remainder of the group who I haven't met yet are lurkers: I still haven’t figured out what they want yet! Members also give spontaneous shout-outs on our Facebook page throughout the week if they're working from a café and want some company. We ask questions about visas and technical issues, and share upcoming events. 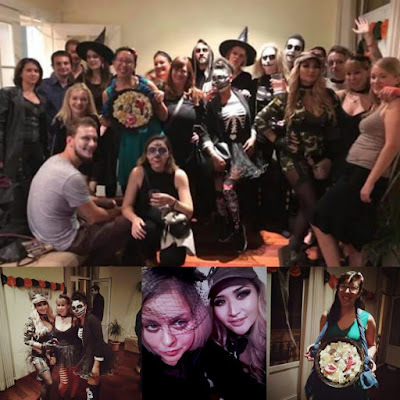 On top of that, we organise some fun social events which have included hiking, checking out the Wine Festival, the Vermouth Festival, and a Halloween party. So far we haven't needed to reserve a table in advance at the cafes, and the owners have been more than happy to host us since afternoons are quiet, although if the attendees exceed 15 I may have to start giving them a heads-up. 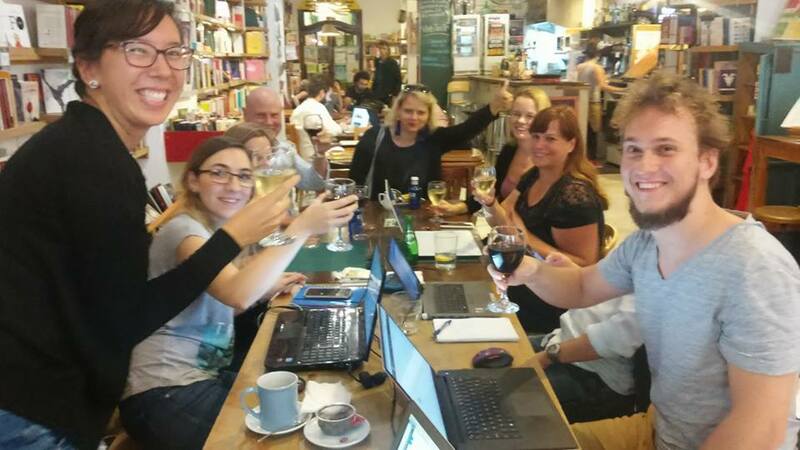 Usually after a co-working session (around 6pm) we clear our laptops away and are ready for wine time, which costs about 7 euros per bottle in Valencia! One of the best deals is Cafe Artysana's Happy Hour from 5pm to 7pm.